The Republican takeover of the N.C. legislature, the first time the GOP has led both houses since the late 1800s, is a huge shift in power that's brought a lot of new faces, and people new to doing business on Jones Street. In what we hope is a regular feature this session, N.C. Policy Watch will try to talk with some of the newest members to offer a bit more insight on who they are and what they plan on doing this session in Raleigh. This will be an ongoing feature, with the goal of profiling all the new members. Haven't been contacted for your profile yet? 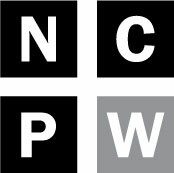 New legislators can contact reporter Sarah Ovaska at sarah@ncpolicywatch.com. Family: Husband Jim Aycock, former publisher of the Black Mountain News. First husband John Keever died in 2003. Had two adult daughters, two adult stepdaughters, three grandchildren and three step-grandchildren. 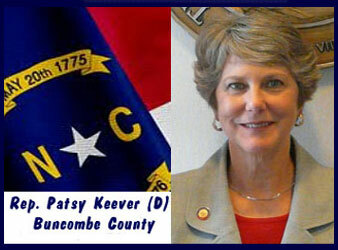 Previous political experience: Buncombe County Commissioner, 1992 to 2004. Biggest political influence: Marie Colton, of Asheville, who held Keever's seat from 1978 to 1994 and was the state's first female to serve at the N.C. House's speaker pro-tem. Any pet peeves? : "People who talk while other people are talking. People should be respectful of other people." How you plan on unwinding from the legislative grind? : "After the session I'll be doing some family vacationing, away from Asheville and Raleigh." Why'd you run? : "I've always wanted to, I've been interested in politics ever since I was seven years old. My mother was in the League of Women Voters. The reason I ran this time was because my opponent was so bad on the environment. I'm from the mountains, and we've got to protect the environment." What are you expecting from this session? : "I'm hoping we can bring a little balance. I hope we can save education from being just massacred. Public education is the most important thing we can do as a government. It worries me that we're starting to try and dismantle heath care instead of trying to find jobs or find ways to raise money. I'm very concerned about what's going to happen in the next two years." What (policy-wise) keeps you up worrying at night? : "I'm not a worrier, but I guess education is the thing that I'm most concerned about. I also care about mental health services and the environment. You either worry about everything or nothing."